Jaguar Australia is thrilled to announce the introduction into Australia of the XFR-S, Jaguar's fastest and most powerful sports saloon car ever. Jaguar Australia has today announced sharp pricing for the new 8-speed 2.2 Diesel XF Luxury at the Melbourne international Motorshow. 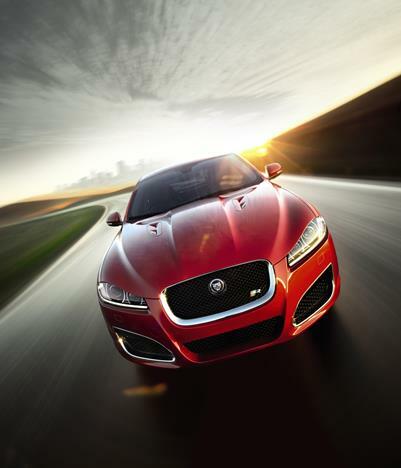 Jaguar Australia has today announced the 'dark side' of the Jaguar XF with new options never seen before in Australia. The Jaguar XF has won the Best Luxury Car over $60,000 category in the 2009 Drive Car of the Year awards for the second consecutive year. The XF 3.0 Diesel beat the Mercedes Benz E250 CDI and BMW 730d to take the title. Jaguar UK has launched a high performance Police pursuit vehicle based on its award-winning Diesel S model. The first ever Police-spec XF is currently being evaluated by Police forces across country. Jaguar has claimed the Fleet World 'Design of the Year Editor's Award' for the second year running - this time for the award-winning Jaguar XF. The new XF is a milestone for Jaguar. In every respect it signals the future of the marque - and yet it remains true to the essence of what has always made great Jaguars the cars they are.